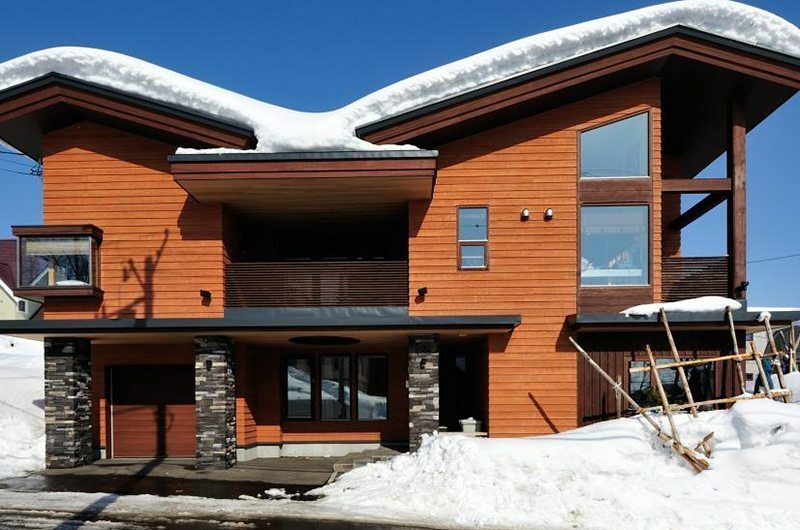 Tsubaki is a modern four-bedroom chalet built with fine local timber and offering five-star views of Mount Yotei and the Hirafu ski area in Niseko, Japan. 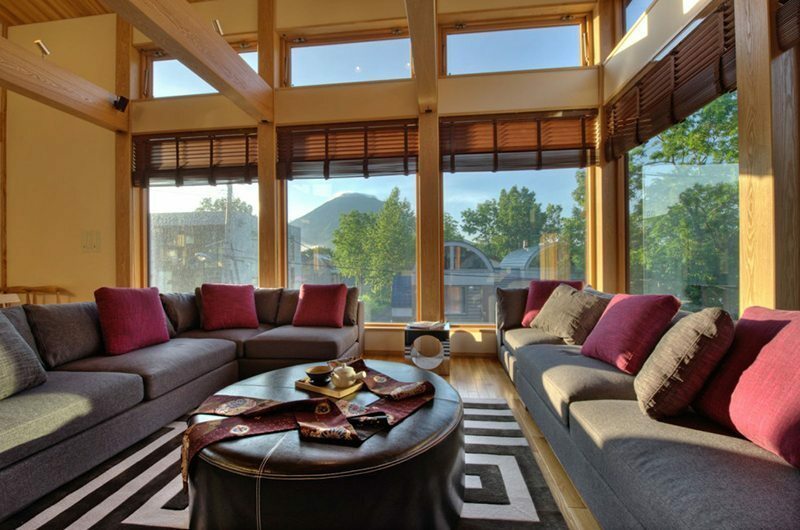 The chalet’s spacious living room offers a stone fireplace and a huge flatscreen TV. 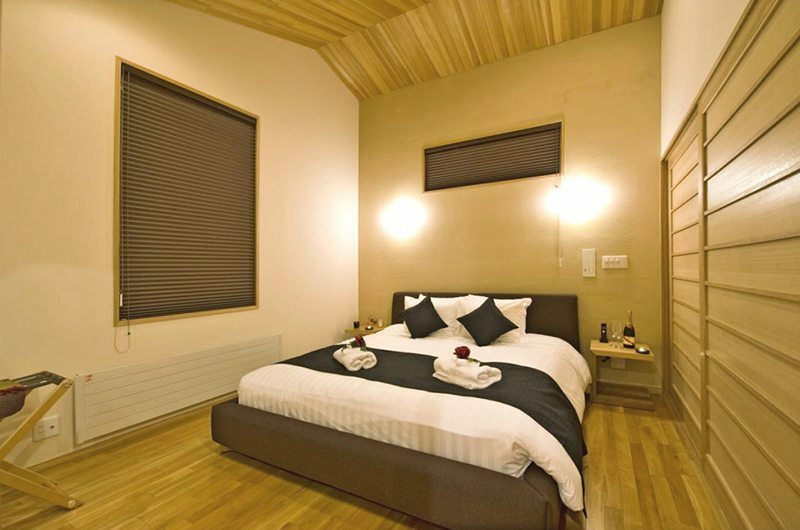 Kids will love the bunk bedroom which doubles as a media room with its own entertainment systems. 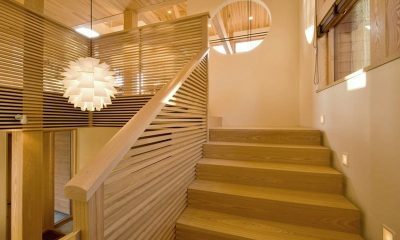 The chalet also includes a relaxing hinoki bathtub for ultimate après-ski indulgence. 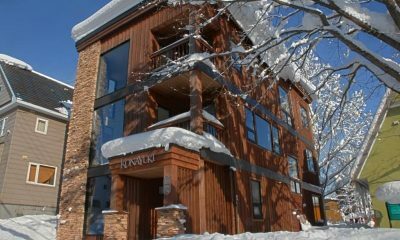 Tsubaki is located in the Lower Hirafu Village, within a minutes’ walk from the ski shuttle stop. 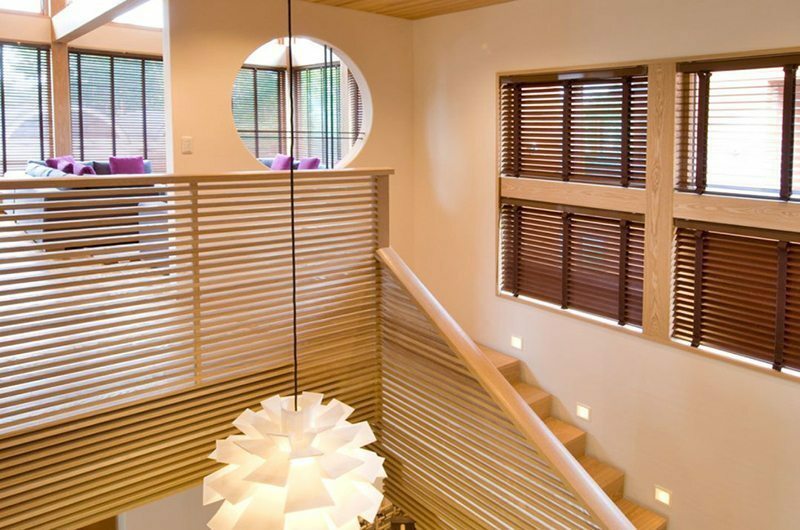 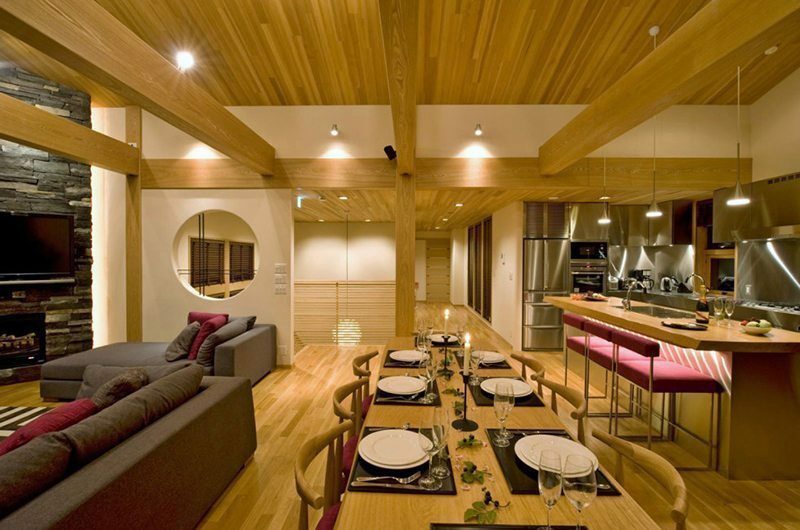 Tsubaki features cutting edge modern design but still maintains the warm and welcoming feel of an alpine home thanks to the use of local timber and a natural colour palette. 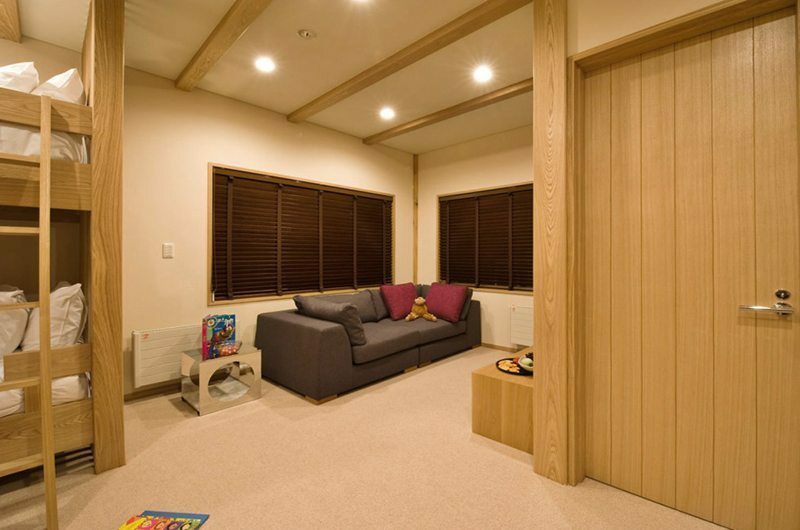 Spread over two floors, there’s plenty of room for the whole family to enjoy each other’s company in the open-plan living room or the media room which doubles as the kids’ bunk room. 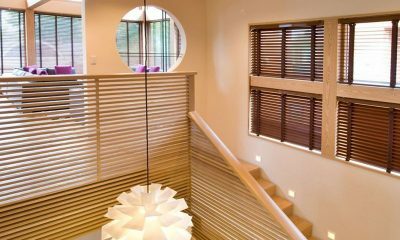 Located on the upper floor, the house features an over-sized living and dining area with a high ceiling and full-length windows. 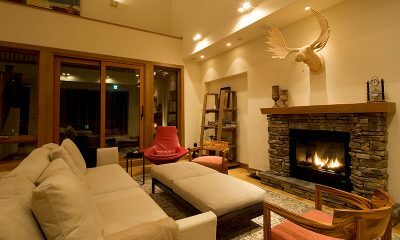 The room has generous grey sofas, a stone fireplace and a wall-mounted flatscreen TV. 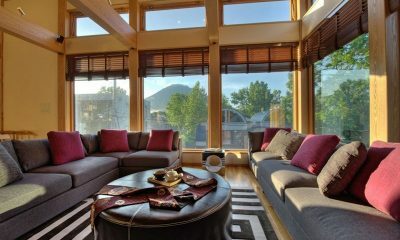 This is the perfect place to get together with the group after a day spent out in the snow. 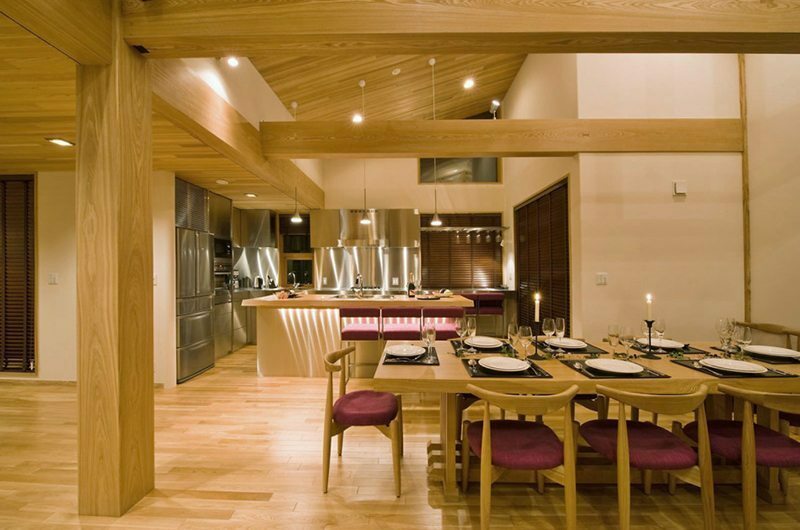 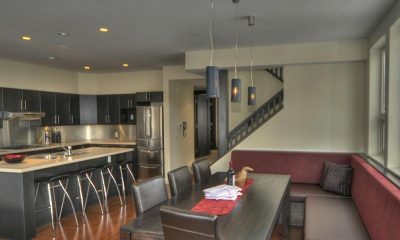 The dining section is a part of the living room. 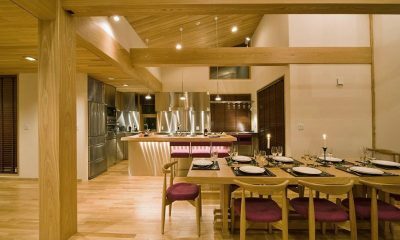 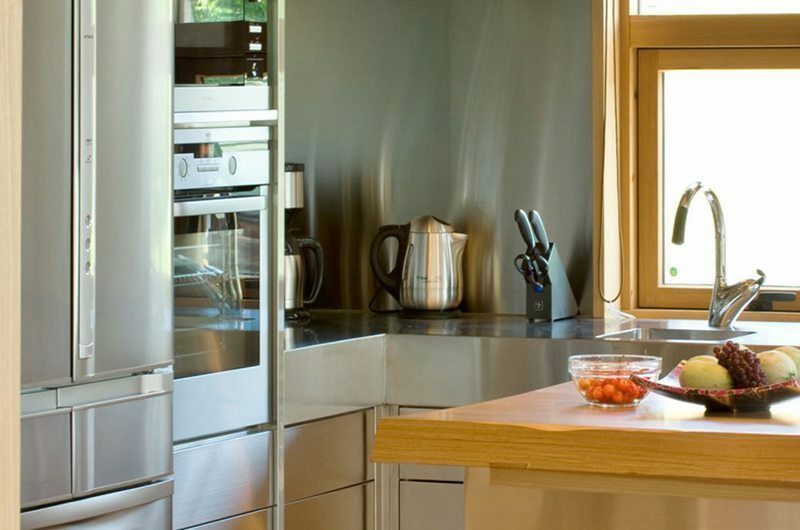 There’s an eight-seater dining table followed by an open-plan fully-equipped kitchen. 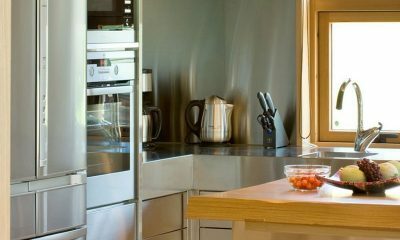 The Nespresso machine will help keep coffee lovers caffeinated before hitting the slopes. 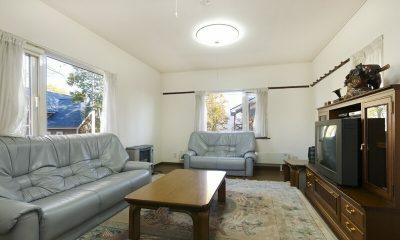 Tsubaki has four bedrooms. 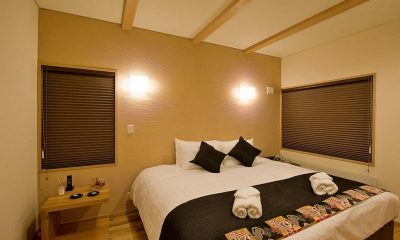 Two rooms have split beds which can be set up as a king-sized bed or two single beds as needed. 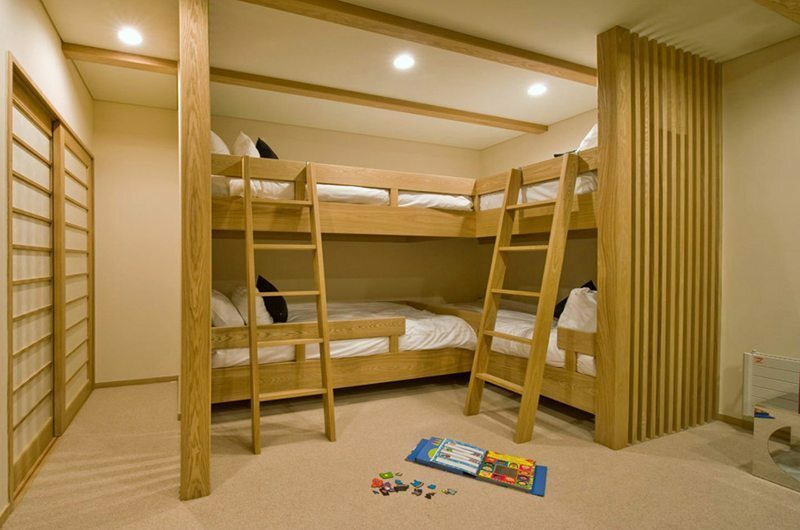 One room has a king-sized bed and one room has two sets of bunk beds. 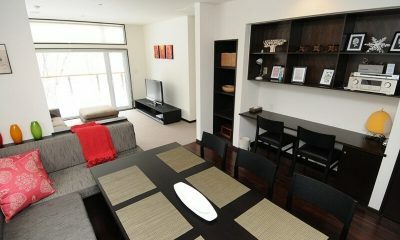 There are two bedrooms on the ground floor and two bedrooms are housed upstairs. 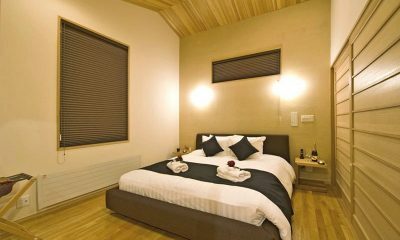 The first bedroom is located on the ground floor and features a king-sized bed which can also be used as two single beds if needed. 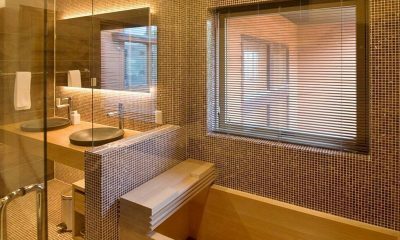 The ensuite bathroom has a shower. 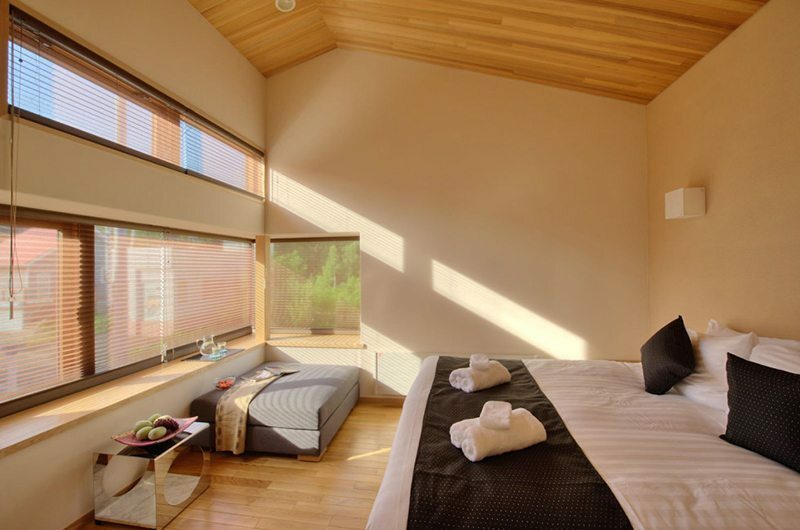 The second bedroom is located right across the hall from bedroom one. 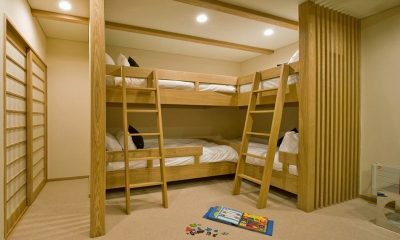 This room has two sets of bunk beds which can sleep four guests. 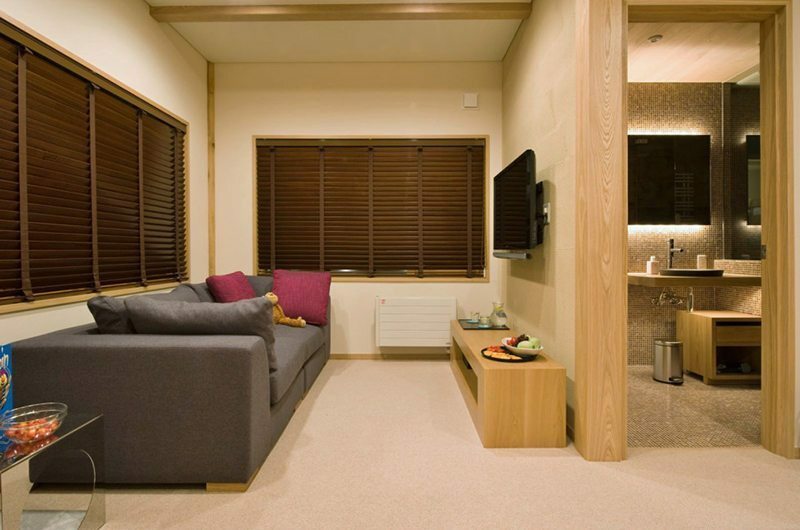 The room has an adjoining sofa suite with a TV. 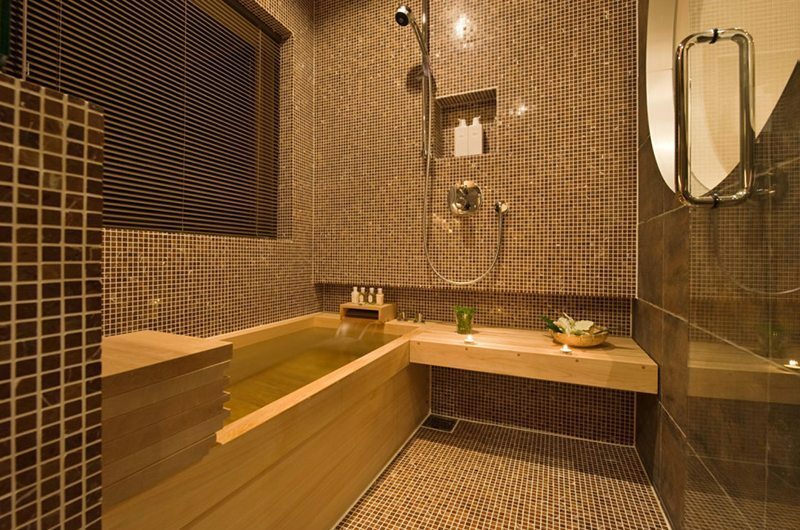 The ensuite bathroom has a bathtub. 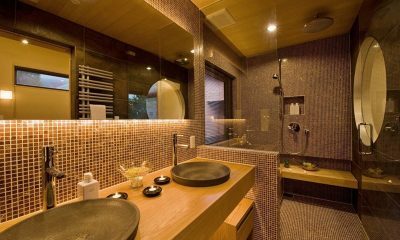 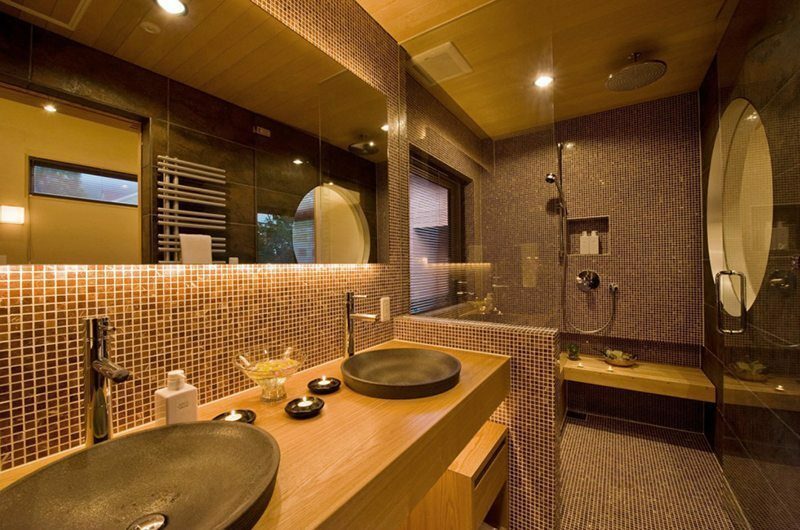 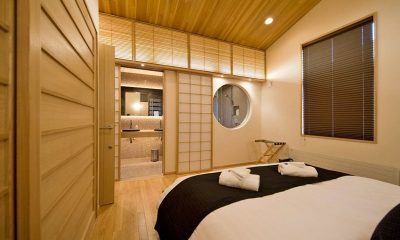 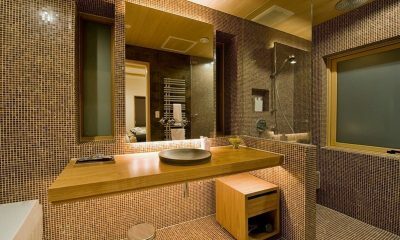 The third bedroom has a king-sized bed and an ensuite bathroom with a hinoki bathtub and a shower. 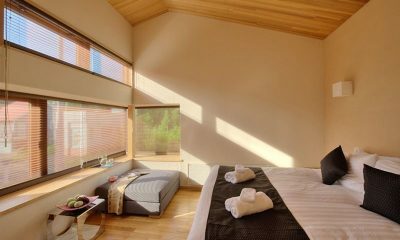 Located next to bedroom three, the fourth bedroom has a king-sized bed (convertible into two singles) and an ensuite bathroom with a shower. 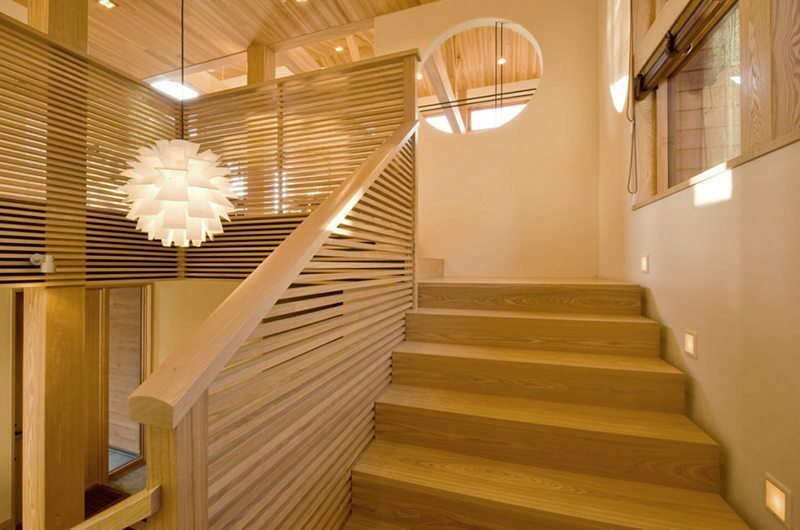 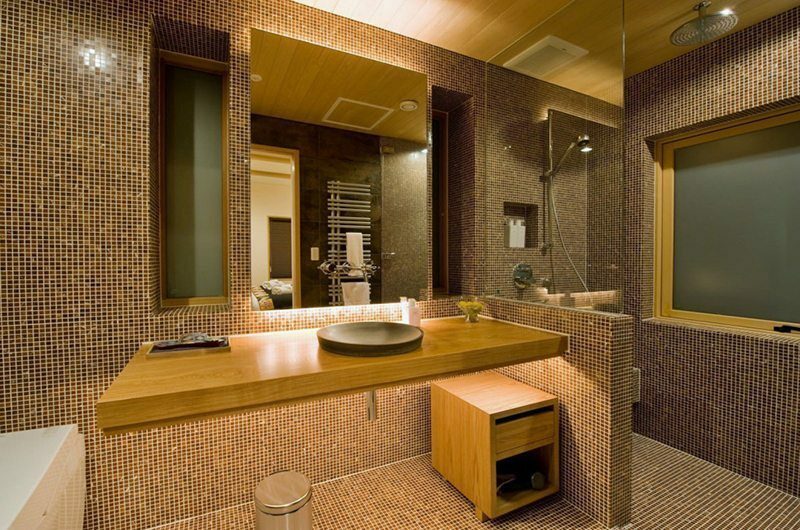 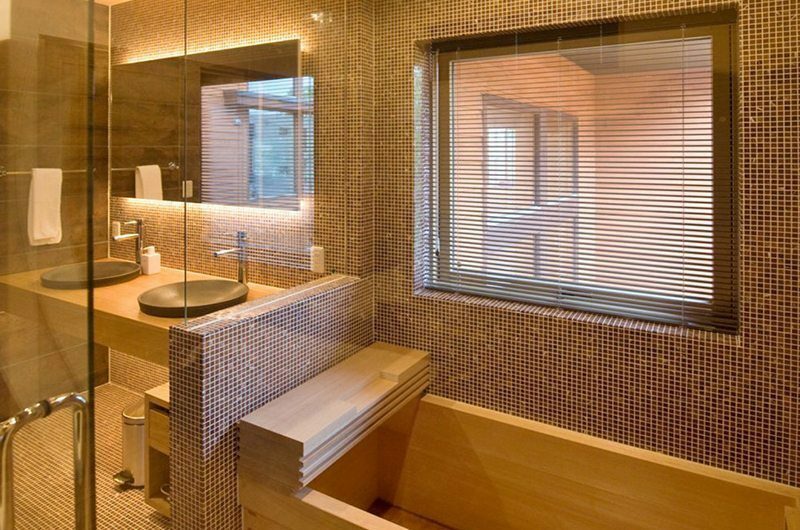 Tsubaki is a four-bedroom chalet that’s built over two floors. 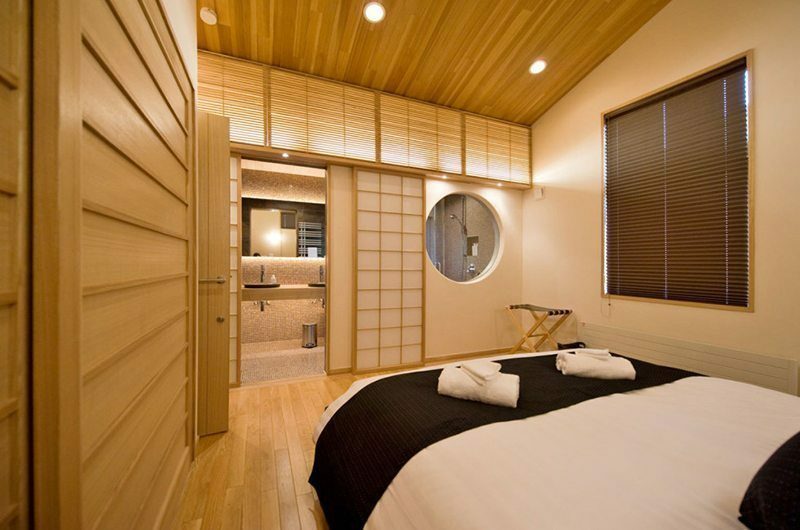 The ground floor welcomes guests in with a Japanese Zen garden and houses one guest bedroom and the bunk room which also doubles as a media room. 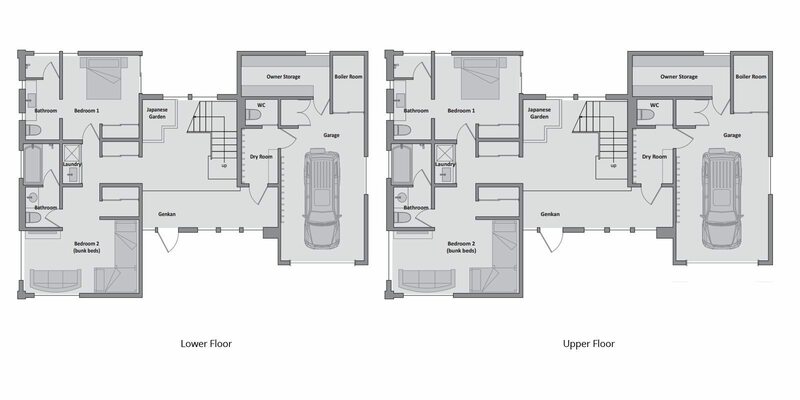 The first floor includes the open-plan living and dining room and houses two further bedrooms. 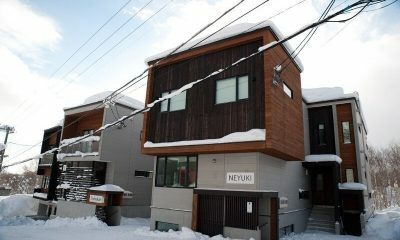 Tsubaki is located in Lower Hirafu Village in Niseko. 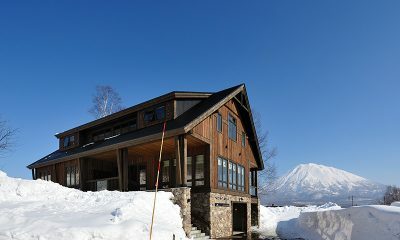 This location provides great views of Mount Yotei and Hirafu’s ski slopes. 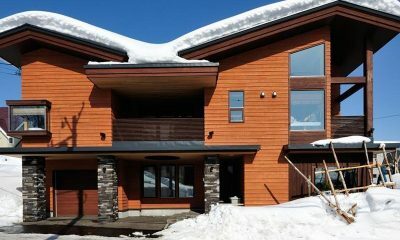 The chalet is within a minutes’ walk of the ski shuttle stop which brings you to the ski lifts in five minutes. 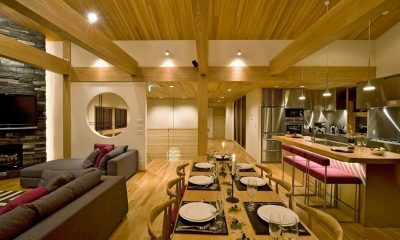 It’s a bit of a walk to Hirafu’s Eat Street, Momiji Zaka, but there are plenty of great dining options closer by in the Lower Village. 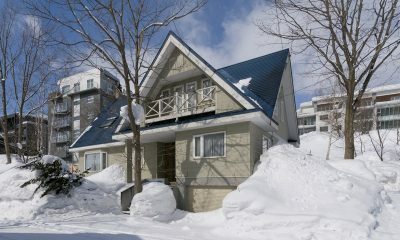 If you’re up for a walk in the snow, you can also reach the Yukoro Onsen and Seicomart convenience store on foot. 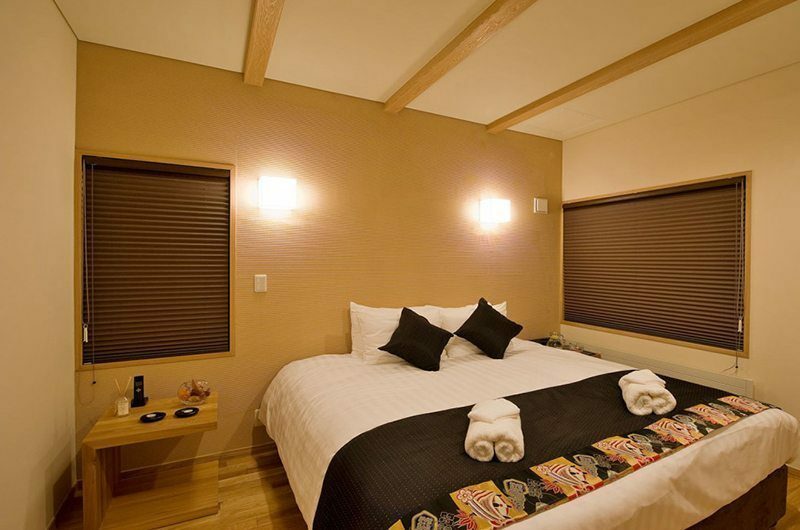 One of our favourites in Niseko is Tsubaki! 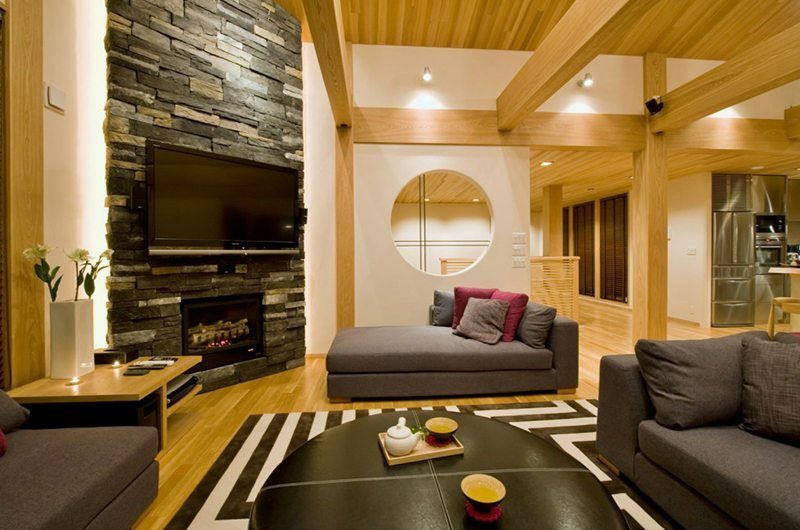 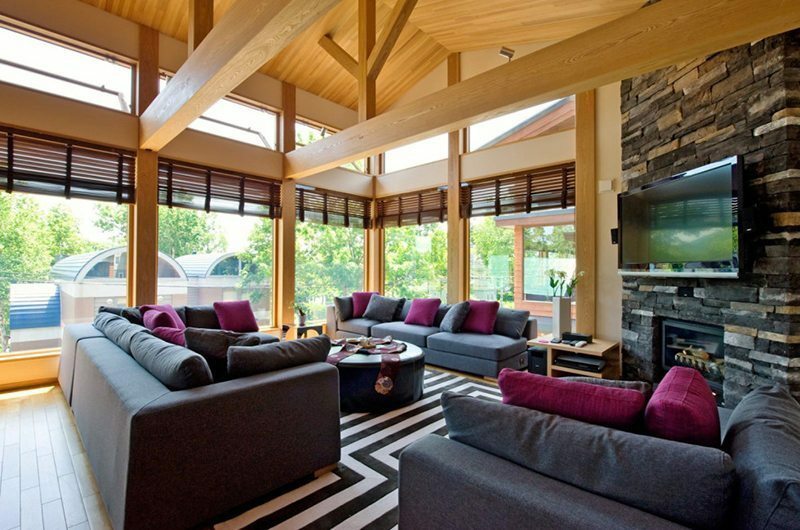 A stylish chalet with a fireplace in the living room. 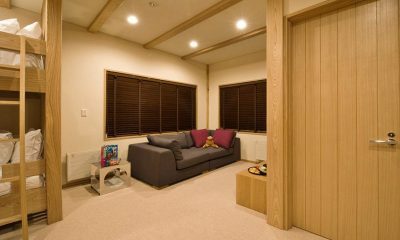 Check out the hinoki bath and cool kids’ bunk room with couch and media corner to keep them amused.